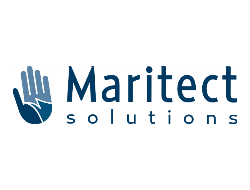 Maritect Solutions is a full service security and investigations company with a reputation for delivering competitively-priced, professional security solutions for a broad range of clients, from large organizations to individual households. They have served thousands of clients in their 35 year history. Their reputation for quality products and services has enabled them continually to win repeat business from their many satisfied clients. Maritect Solutions has experienced significant growth in the last few years and continues to expand to address the changing needs of its customers through improved technology, best practice solutions and customer-focused support. Gain peace of mind with a Maritect solution today!